providing distinction. We are my. 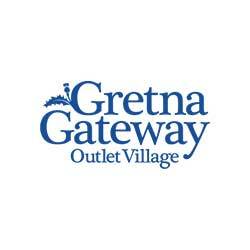 Gretna Gateway is an outlet shopping village with more than 50 quality retailers including Superdry, Molten Brown, Nike and Ralph Lauren. All stores with strong brand personalities, any of which would reflect Gretna Gateway well, but no single retailer could fully sum up the offering or what visiting would be like. Gretna needed a more rounded approach, to stand alone, of course the shops would bring customers so needed visibility, but why choose Gretna over other locations with these shops? This was a question our creative team relished the opportunity to answer. After stimulating and informative discussions with the client we got to understand what the centre’s vision was, their customer type and how those customers currently perceived them, their expectations and experiences on visiting. Using the knowledge we had gained we first looked at generating ideas around seasonal campaigns, these took the form of sketched visuals and looked at various scenarios featuring individuals, couples and families enjoying activities associated with the season. Where appropriate products were included or Gretna’s leisure offering reflected. The concepts were presented to the client where they were well received, some refinements were made and the strongest taken forward. The next step was to recruit models and set up a series of photoshoots, much of which was done on green screen with various props. The reason for this being, to create an alternate world, unique to Gretna using illustrative backgrounds and additional effects. Art direction was a big part of achieving the right shots, always with the end use in mind. The results were universally well received and the campaign over the last 12 months has gone from strength to strength, with one customer commenting: “Anybody who has kids knows shopping is not always a priority for them. Gretna, though always feels like fun place to come, more like a family day out than just a shopping trip”. Visitor numbers have increased and awareness is greater than ever, even prompting a TV ad. Gretna were looking for something to truly identify them, in following the process of generating concepts and image origination rather than retailer focussed creative, which is widely available, we met those needs… plus it’s great fun to work on! The offering at Gretna Gateway is so varied, we needed a solution which not only reflected this but gave us an identity unlike other centres of this type, something that showed us as a unique shopping destination.